Christmas is one of the biggest festivals celebrated around the world. 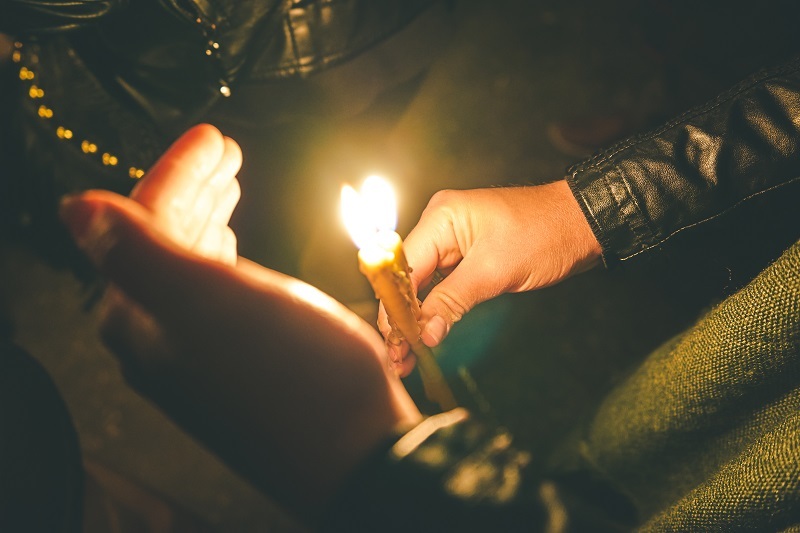 It’s a festival that signifies family and love and also the spirit of kindness and giving. If you love food, it is about chocolate cakes and puddings and giving and receiving wonderful gifts on Christmas. Christmas has a special place in our hearts, and the festival brings happiness and cheer to everyone around the world. All-you-can-eat buffet-style meals are what Singaporeans love most – and most good hotels will offer one. At Christmas, the buffet tables enter the festive season with a full flourish and are laden with an endless selection of dishes along with scrumptious Christmas delicacies and cakes. Usually, they have an excellent international variety of food and wine which is guaranteed to ensure that you have a good time whether you are celebrating with friends or family. Popular choices for the Christmas buffet are the Goodwood Park Hotel, Raffles Hotel, and the Ritz Carlton. You can also check out the Marina Mandarin Hotel and its “fusion” Christmas buffet. 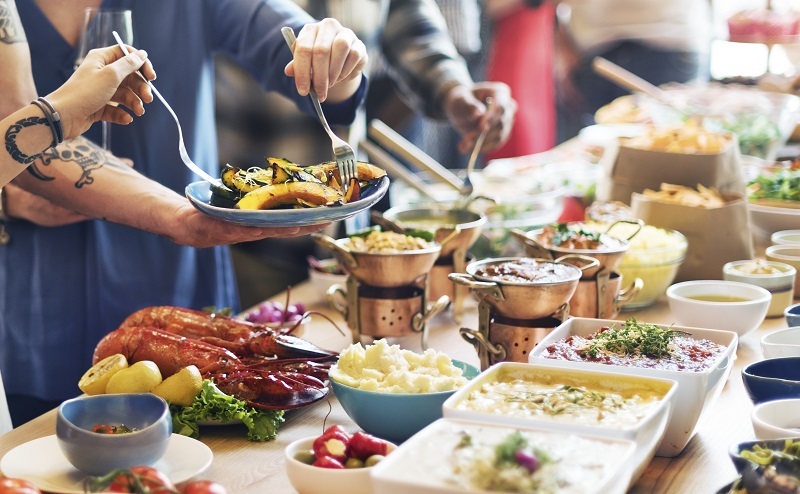 Many buffets might be booked out early, so do make your reservations before it is too late. 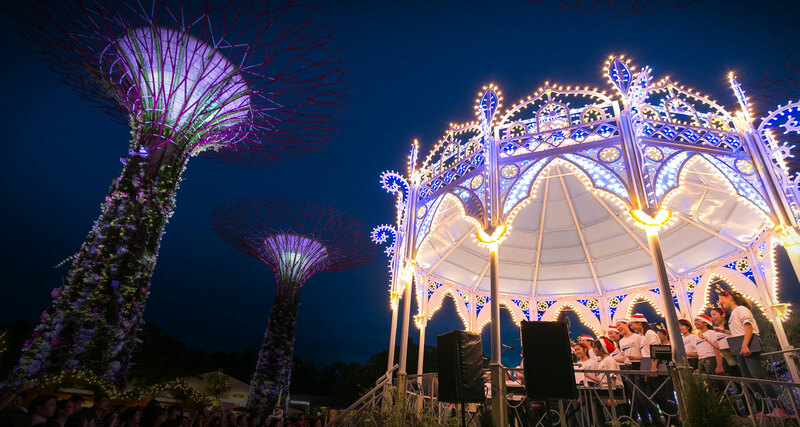 If you are looking for a unique experience at Christmas in Singapore this year, you can also set sail with the luxury superyacht the Royal Albatross. 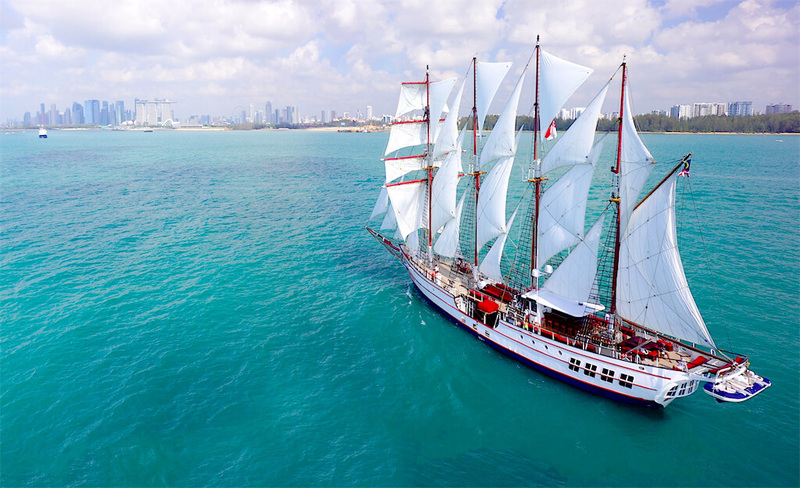 The beautiful ship beautifully combines the comfort and safety of a modern ship with the beauty of the old sailboats and is a marvellous sight to behold. For Christmas, the Royal Albatross is opening Christmas Sails during this Christmas period for a 2.5-hour cruise. Guests can bring their loved ones to partake in Xmas festivities on board the Royal Albatross with a buffet. The cruise will have limited space, so it’s best to book your tickets in advance. 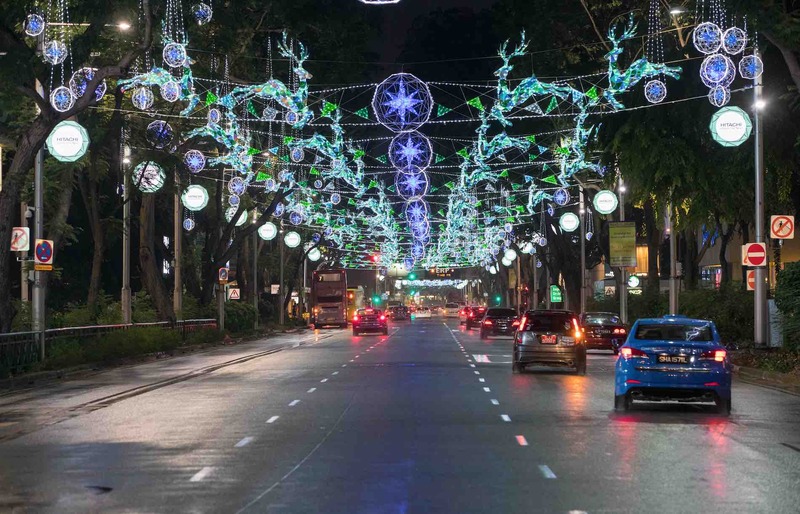 Orchard Road is known for its yearly Christmas Light-Up where the facades of all the malls along the world-renowned shopping street are all decked for the season. They have beautiful Christmas trees, festive decorations, carolers, fake snow, and all the elements needed to put you right into the atmosphere! It helps that there is a competition for the annual Best Dressed Building award. What makes shopping during Christmas in Singapore more exciting are the amazing discounts and the extended shopping hours. If you can bear the crowd, you can explore the stretch of Orchard Road encompassing Ion Orchard, Wisma Atria, Ngee Ann City and Paragon malls. Some of the newer funkier malls are further down like Orchard Central, Mandarin Gallery and 313@Somerset. Close to Orchard Road is Singapore’s largest church – St Andrew’s Cathedral. You can also visit St Joseph’s Church which is famous for its incredible stained glass windows. Another famous landmark is the Armenian Church, it is Singapore’s oldest church and is surrounded by beautiful grounds. Besides the traditional Anglican, Catholic, and Orthodox churches, a quick google search will find you modern non-denominational churches if you are looking for something different. Churches like City Harvest Church and New Creation Church are known to have excellent Christmas drama productions complete with theatrical props and original compositions. For the month December, every evening the Christmas display outside the Tanglin Mall is showered with foamy soap bubbles. It’s a lot of fun for adults and children alike and is a huge hit. If you want to catch the bubbles you need to be there at 7:30 to 8 pm. Besides that, there is also places like Gardens by the Bay, Botanic Gardens where you and go with your partner or friends to enjoy a special time walking about and taking photos for your Instagram and social media display pictures.